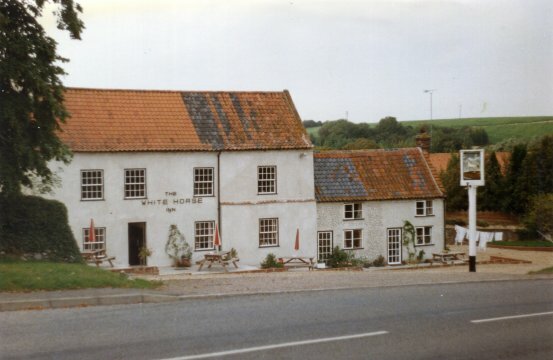 REEPHAM BREWERY Conveyed 26th November 1878 to Henry Bullard & John Boyce. Lot No. 49 in sale of Bircham & Sons Reepham Brewery Saturday 8th June 1878. The let to John Barnes at an annual rent of £30. Tap Room, Wash House, Small Bar, Good Cellar in rear with Room over; Also 3 Bedrooms & Large Attic; Foreground with Stable and Loft and Enclosed Cart Lodge. 4 Cottages adjoining the house also included and a large piece of land on the opposite side of the road. Renamed the BARSHAM ARMS by February 2017.